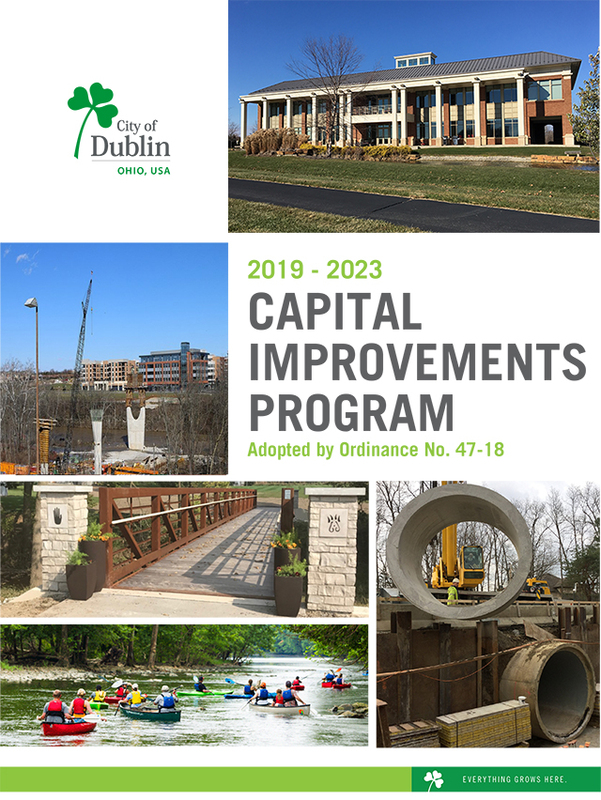 (Dublin, OH) – Dublin City Council adopted the 2019-2023 Five-Year Capital Improvements Program at their meeting Monday, October 22. Funding priorities include maintaining existing assets and infrastructure, and completing construction of Riverside Crossing Park within a three-year time frame. “The 2019-2023 Capital Improvements Program reflects City Council and the Administration’s continued investment in the City in a fiscally responsible manner. The $194.3 million program, largely funded through 25% of the City’s income tax revenue dedicated to capital improvements, includes $77.3 million in funding for maintenance of existing assets and infrastructure. The remaining amount will be spent on enhancements and new infrastructure that will benefit residents now and in the future,” said Angel Mumma, Director of Finance. The CIP is a five-year outlook for anticipated capital projects and is reviewed and updated annually by the City. These projects are primarily related to improvements in transportation, parks, utilities and facilities. The 2019-2023 CIP was developed in support of the City’s Strategic Focus Areas, with emphasis placed on the safety of the public and employees, the City’s overall fiscal health, and promoting economic vitality.